We Cover All Your Outdoor Needs! Last winter, you waited until the last-minute and ended up paying too much for firewood. Dont let that happen again this year. Start now. Why? August is the perfect time to set up a series of storage areas with the aid of our firewood rack bracket kit, ready-made racks, tarpaulins, rolling carts and scrap lumber. Simply place an order, choose a spot and add or build the firewood racks accordingly. 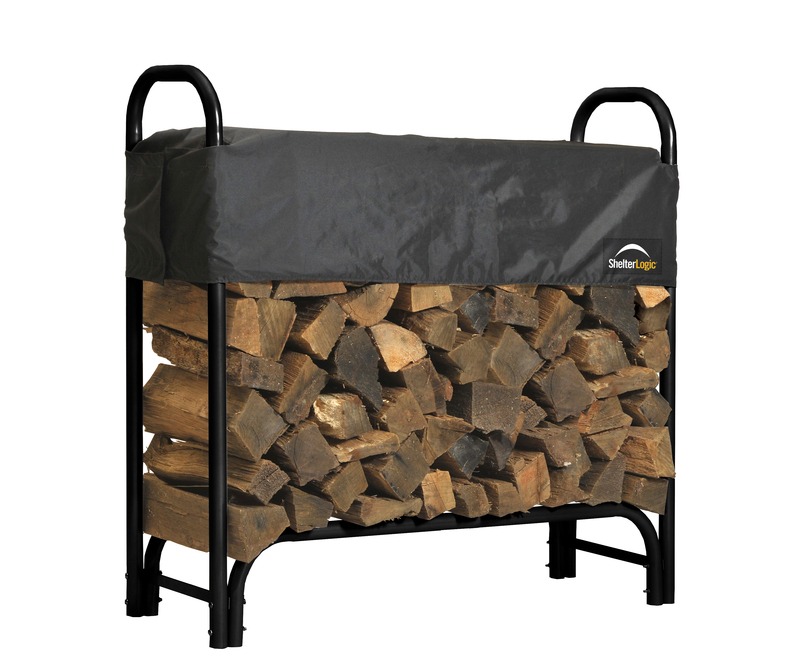 Right now, the firewood racks, bracket kits, rolling carts and tarpaulins are on sale. So, youll like save more than $100 off of our standard, retail prices. 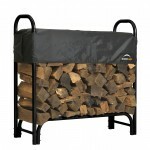 The ready-made racks are ideal for families who have limited space and know exactly how much firewood theyll need. The largest one is an impressive 12 feet long. As such, it should hold more than a cord of wood. The rack bracket kits, on the other hand, are perfect for large properties that can accommodate long stretches of wood because they can be customized. Consequently, families like to use the kits to store multiple cords of wood in one or several areas of their respective properties. Also, they are suitable for building smaller and oddly configured stacks too. And keep in mind that well ship all four firewood storage essentials to you quickly. That way, youll be able to take advantage of early firewood season discounts and have time to properly season each chord as well. So the savings wont end with your purchase from Canopies and Tarps. Once the racks are built or safely put in to place, theyll be ready to receive as many shipments of green or seasoned firewood as your family sees fit. Plus, the tarpaulins, brackets, racks and carts are strong enough to last winter after winter. Consequently, youll never have to procrastinate and overpay for your households yearly firewood supply again. To learn more about our firewood storage essentials and place a timely order, please contact our Canopies and Tarps staff members within the next 24 hours. This entry was posted in firewood covers and tagged firewood covers, firewood storage on August 27, 2015 by CanopiesAnd Tarps. How Come My Canvas Tarp Smells Funny?